Have you ever seen the royal’s winter photos in magazines and wondered just where it is that this family jet off to? There is a good reason that this village has been named one of the most fashionable villages in Europe, but what is it that really keeps the royal family heading back year after year? So, the answer to the question – where can you find this secret alpine village? In Switzerland lies the town of St. Moritz. From a geography side of things, this breathtaking location is almost 6,000 feet above sea level and is found in the southeastern corner of the country. As if seeing the little town wasn’t enough to get your winter vibes flowing, then you will be amazed at the journey to get there. And trust us, it’s totally worth it. You start out by flying into Zurich where you are greeted with one of the most beautiful airports in the world. From there it’s onto the Bernina Express. This mountain train has become an icon of Europe for the incredible views you get to experience along the way. 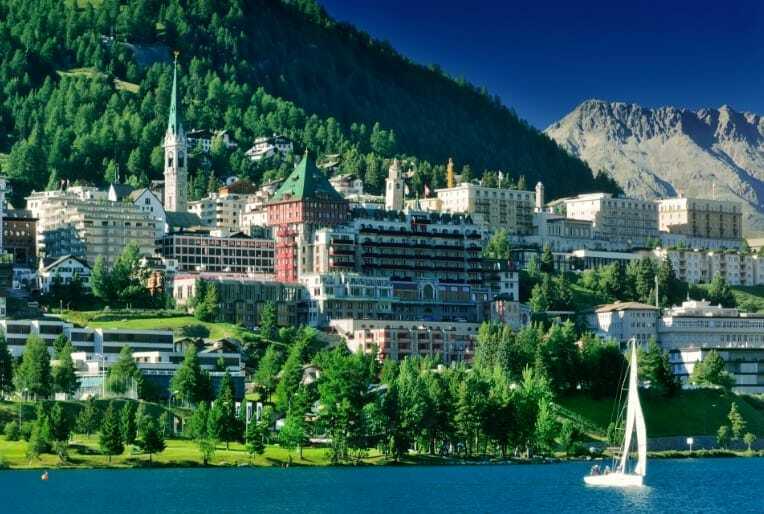 After 3 hours of taking in the scenery, you’ll be ready to embrace the world of St. Moritz. If you’re looking to holiday like the royals then why not go all out and check into one of the many luxurious hotels on offer in this alpine village? There are a variety of spas on offer to warm up after a cold day outside. They don’t only act as a heater and way to unwind; these spas also have some breathtaking views as you can overlook the mountain ranges all from the comfort of a hot tub. If you’re looking for a more budgeted option, then there are various smaller hotels on offer that still give you the picture perfect views you are searching for. Of course, a winter holiday would be nothing without a bit of snow. And what better way to enjoy it than by strapping on some skis (or snowboard, we’re not biased) and carving up the slopes? The runs are anywhere from beginner to expert levels which give anyone the perfect way to see the mountain ranges for themselves. After all, it’s hard to beat the feeling of the wind in your face as you’re zooming down the slopes, or the overwhelming sense of slaloming through the trees as you take in the scenery. Plus, the mountains are so close to the village you can easily lose hours to the range. If you’re feeling really adventurous, you could even give skijoring a go. No, we didn’t invent a word. It is skiing while you’re being towed along by a horse! Perhaps skiing isn’t your kind of sport, or you’ve had a hard day on the slopes and are looking for a way to unwind in the afternoon? Well, if you’re visiting St. Moritz then you’ll want to get an adrenaline rush on the world’s first bobsleigh run! If you’re after something a little less adrenaline-fuelled, then there are plenty of horse-drawn carriages where you can take in the village at a more sensible pace. On the theme of horses, there is also a professional polo team that competes in the only snow polo match in the entire world. The game takes place once a year on the glorious frozen St. Moritz lake. There are also a huge number of designer stores here too, including Gucci, Prada, and Cartier to kill some time. 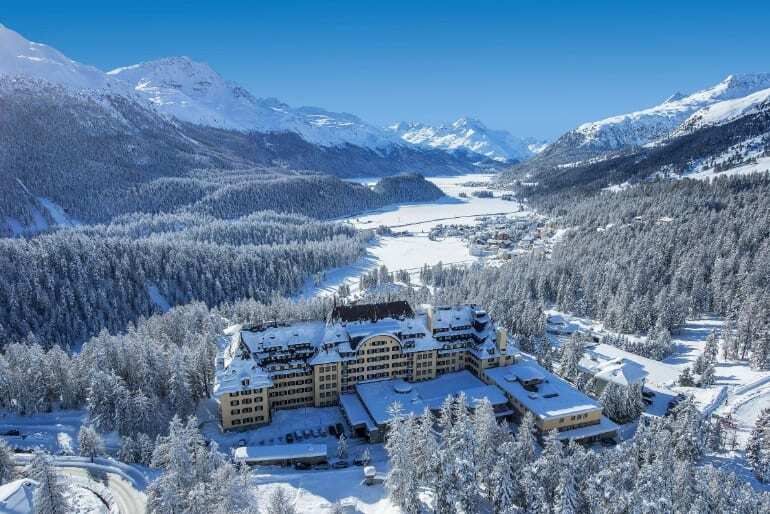 It’s no wonder the royals come to St. Moritz! There is a good reason why the royals jet off to St. Moritz every year. The scenery, the snow, and the atmosphere all make this little village something that is truly out of this world. As if the views weren’t enough, with a landscape like this you will be able to create family memories that you’ll never forget.